Milled corn, sugar, malt flavor, and salt. These are the ingredients of Kellogg’s Corn Flakes, “The Original and Best.” A single preservative notwithstanding, this simple recipe has nourished generations who need to get “crowin’ in the mornin’,” like the old commercial said. 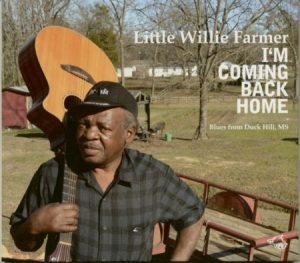 I’m Coming Back Home, the debut album from Mississippi’s Little Willie Farmer, also has four ingredients: dry singing, sweet acoustic guitar, run-of-the-mill blues covers, and just a sprinkling of original songs for freshness. Why have cereal lovers consumed Corn Flakes for decades, while faddish offerings like Star Wars Cereal (yes, it exists) come and go? The basics are the best, the most satisfying, that keep people coming back for more. That’s the good news, both in terms of the Kellogg’s product and Farmer’s CD. The bad news is that while the fourteen songs here have a classic taste, even the new ones, they’re not very filling. What’s missing? Feelings. 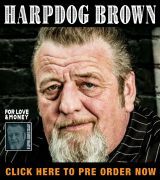 True blues comes from the heart, not just the mouth and the shredder strings. Besides, if we’re to sink our teeth into “Little School Girl” and “Rock Me Baby”, they’d better have a little more powerhouse protein and less flat-vocal fiber to feed our souls. Track 14: “Obama – The President Song” – Okay, this comes a year too late, but I’m going to review it anyway. Even though Obama may no longer be President, the sentiments in number fourteen were shared by a lot of Americans. “He trying to make a change, but he need help, like we all do. He ain’t trying to misuse nobody, but you know, some people don’t care. They just want all they can get and more. 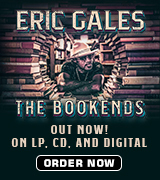 They got no heart for the poor people.” I like the echo effect on Farmer’s guitar, but other than that, this (polemic? Speech? Ballad?) is like the weird-looking marshmallow in a box of cereal. Even though it tastes good, you can’t really tell what it is. I’m Coming Back Home needs a little more feeling, and less filler, to be a truly hearty CD.